The Rogers family has been growing grapefruit in Florida since 1928 and today the third and fourth generation are involved in the business. 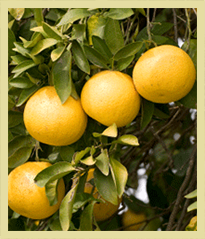 Florida produces the world’s finest grapefruit. The tropical climate and rich soil produce a fruit that is juicier and sweeter than any other. 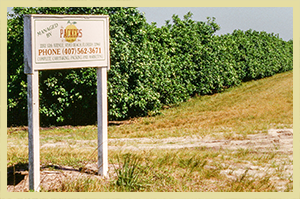 The uncommon quality of Packers citrus is attributed to the unique soil, geologic and weather conditions of the Indian River Citrus District. The land and water are our most valuable asset and they are treated that way. 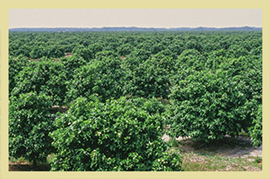 The Packers of Indian River, Ltd. uses environmentally responsible farming practices to protect the environment. Production is split between the Indian River and Gulf Growing regions. Red grapefruit, Flame grapefruit, and White grapefruit, along with tangerines and oranges are produced on 7000 acres of land. 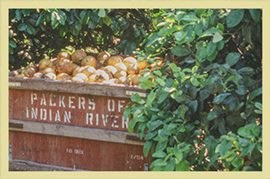 Through growing and packing our own fruit, The Packers of Indian River, Ltd. maintains complete control over production practices and quality. Constant care and attention is needed to grow top quality fruit. University-trained horticulturists adhere to updated production practices such as Integrated Pest Management assuring unneeded pesticides are not applied. 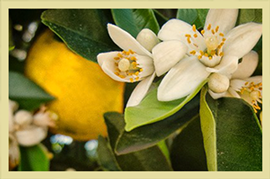 Great care goes into growing our fruit and preserving the environment.